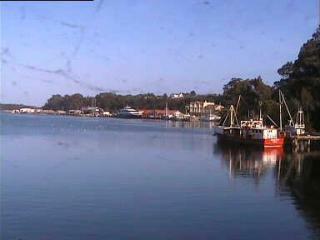 Strahan is a small town and former port on the west coast of Tasmania, Australia. It is now a significant locality for tourism in the region. Strahan Harbour and Risby Cove form part of the north-east end of Long Bay on the northern end of Macquarie Harbour.